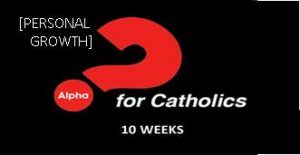 Alpha is a parish based small group experience focused on hospitality, sharing, and open conversation. This is the Catholic expression of the Alpha content run all over the world, by Christians of all traditions, and provides a common expression of proclamation, service, and witness. Millions of people have experienced Alpha in over 100 countries and over 100 languages around the globe. Click/touch the picture for a trailer. The sacraments are the very lifeblood of our soul, yet in the midst of our busy lives, we can fail to understand their power and importance. Without them, we are spiritually dead. With them, the very life of God runs through us. In this new 8-part, 8-week small group series,, The Sacraments from Saint Benedict Press, the Church’s sacraments are presented in such a way that no viewer will ever again take them for granted. Click/touch the picture for a trailer. 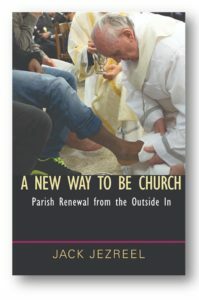 Building on the legacy of the Catholic Church's robust historical witness, the inspiration of Pope Francis, and his own experiences as parish minister, Catholic Worker member, and founder of JustFaith Ministries, Jack Jezreel presents a unique vision for re-newing parish life — A New Way to Be Church. Click/touch the book cover for a short video of a talk by the Jack on this theme at a Catholic conference in 2011. 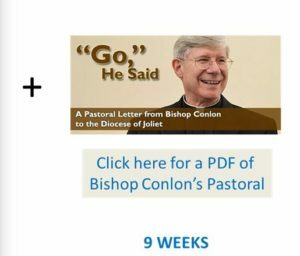 This series is paired with our Bishop Conlon’s Pastoral Letter “Go,” He Said. Many statistics on the Catholic Church today are sobering, and the future of the Church can seem bleak indeed. The average parish often feels helpless to do anything that might help turn the tide and revitalize the Church. But best-selling author Joe Paprocki insists that there is good news: with the right plans in place, the Catholic Church—and the local parish specifically—will not only survive, but thrive. 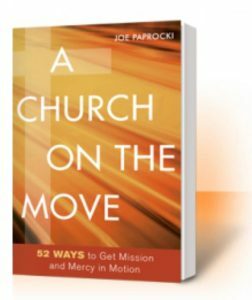 A Church on the Move offers 52 practical strategies for moving parishes forward, principally by focusing on the one thing the Church can offer that the world-at-large cannot: Jesus Christ. Click/touch the book cover for a short video of part of a talk by Joe on the theme. 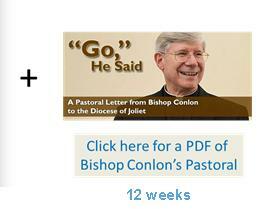 This series is also paired with our Bishop Conlon’s Pastoral Letter “Go,” He Said. 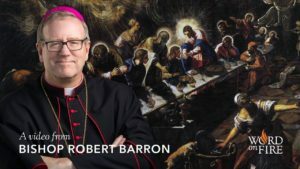 Walk through the Liturgy with Bishop Barron and be transformed through insights on this most privileged and intimate encounter with our Lord Jesus Christ. See how the Mass brings us out of the fallen world and into the heavenly realm, how it resonates with a call from God and a response from his people, the Church, and, most importantly, how we are intimately joined with the Body, Blood, Soul, and Divinity of Jesus through the Holy Eucharist. The Mass will help you understand how to fully, consciously, and actively participate in the source and summit of the Christian life. Click on the picture to watch the video trailer.